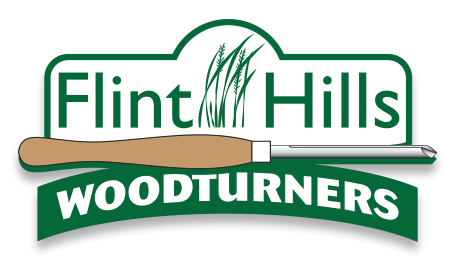 Flint Hills Woodturners is a nonprofit organization, dedicated to advancing the art and craft of woodturning in Northeast Kansas by providing opportunities for education, information, and organization to those interested in turning wood. We learn a lot from each other. I guess that is the way it has been since man first evolved on earth. Can you imagine what the others thought when Joe Caveman first invented the wheel? Wow. What an innovation and what a change in how life was lived. And it has continued to this day with amazing discoveries every day. Remember Tang? Remember your first cell phone? It was like a brick. Even in woodturning there have been amazing innovations which have helped us all by making certain tasks easier or more successful. Just coming to monthly club meetings has taught me so much from my very first one at Capital Area Woodturners back in about 1994 to the last one in January at our first Flint Hills Woodturners meeting of the year and at each meeting since. The interaction we have at meetings, at Skill Enhancement, and at lunch between the meetings has proved a great opportunity for all of us to learn from the rest of us. We learn how to work safely, how to use each tool, how to mount the wood on the lathe, and even which lathe may be the best fit for our needs and our budgets. I have long been impressed by the great willingness of woodturners to share their knowledge with others and have never found anyone who said something was their own private style or product and they would not help someone learn how to do it. What a great organization of which I, and you, are a part. Our club’s fiscal year coincides with the calendar year. That means that dues are due in January each year for those continuing membership from last year. Dues are $35 for the year and that includes all who are living in one household. There is a 50% discount for active duty military members in appreciation for and recognition of their huge contribution to the safety and security of our nation. Please pay your dues by the January meeting or as soon as possible thereafter. Those who have not paid by April will be dropped from the rolls. We recognize that new members who may join in the middle of the year would not want to pay for a full year. Neither would we. So the membership has decided a small discount would be in order. We will discount that $35 annual membership by $5 for each calendar quarter which has elapsed when you join. So, for example, if you join in July, the first two calendar quarters would have elapsed thus reducing the dues by $10, making dues $25 for your first year. A new member who joins in December will pay full dues but that will carry over through the following year. Flint Hills Woodturners really started in March 2015 when a bunch of woodturners got together at Red Oak Hollow Lathe Works to see if we had enough interest to form a club. There were 21 of us present and the overwhelming consensus was that we would do so. We batted around some names and came up with the one we now have. Some of those present volunteered to take on leadership roles and we decided to hold our meetings on the first Saturday of the month. So our first official club meeting was the Fourth of April 2015. We celebrate that event with an annual family potluck dinner in April. For this April, we will have our FOURTH BIRTHDAY POTLUCK on Sat evening, the 20th. We’ll have a big table where we can display some of our work for our families to see so plan to bring something to display. Remember, they don’t get to see Show and Tell each month. 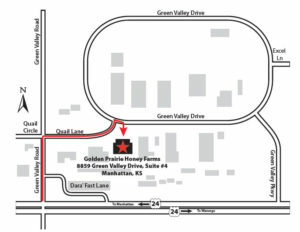 Details of what food to bring are in the Coming Up section under Regular Monthly Meeting, above. And if you are new to woodturning and would like to join us, please come to the dinner.